In our work with children and youth at Boys Ranch we are reminded each year of the struggles that may be present during the holiday season. We have found that a time of year we expect to be joyous and fun has the potential of causing stress, anxiety and depression. Situations that arise this time of the year such as visiting friends and family, missing loved ones, or just the overall busyness can be cause for difficult emotions. Those may be expressed in a wide range of behaviors such as withdrawal, anger, sadness, guilt, and even the inability to sleep. The challenge for us as caregivers is not to try to keep our kids from these feelings or to force them to enjoy themselves, but rather finding ways to create environments where they can safely acknowledge those feelings while being present with us. * Making time to be quiet, mindful and stay in contact with our spiritual selves. The second part of creating a safe environment is minding your stress level, being honest about your own feelings, and taking time to communicate those with your family, friends, and also your children. With children in closer proximity than usual, we have a greater opportunity to model asking for help in times of stress and anxiety. This includes demonstrating how we may draw from each other’s strengths and faith in order to overcome difficulty. Showing children that even though this time of year may be painful and confusing, it is possible to make it through with help and even sometimes find ways to make it better. Many resources may be found online about the holiday blues, including suggestions how to curb or lessen them. 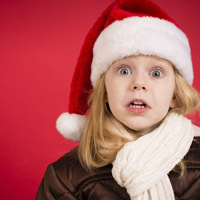 One such resource is Katherine Lee, a school age children expert for About Parenting’s article about managing Holiday Stress and Anxiety in Children. This entry was posted in Uncategorized and tagged Holiday, Parenting, Rachael King, Stress. Bookmark the permalink.